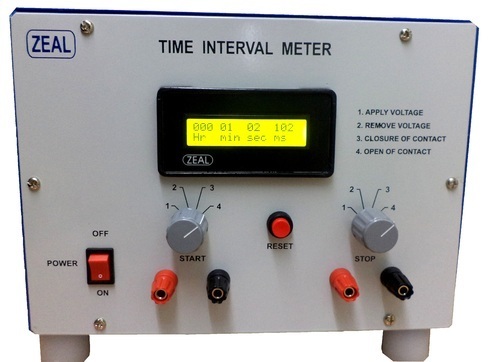 Prominent & Leading Exporter from Pune, we offer time interval meter. We are providing a large assortment of Time Interval Meter. In the case of start/stop by step positive voltages, our meters are available with reverse polarity indicator. Moreover, to measure the time of operation of various protective relays and opening/closing time of circuit breakers along with high resolution as well as accuracy, our meters are sourced from the trustworthy manufacturers of the market. In addition to this, the direct display of our meters helps in avoiding any calculation. These are also used for field operations due to their versatility in selecting different operating modes. Looking for “Time Interval Meter”?